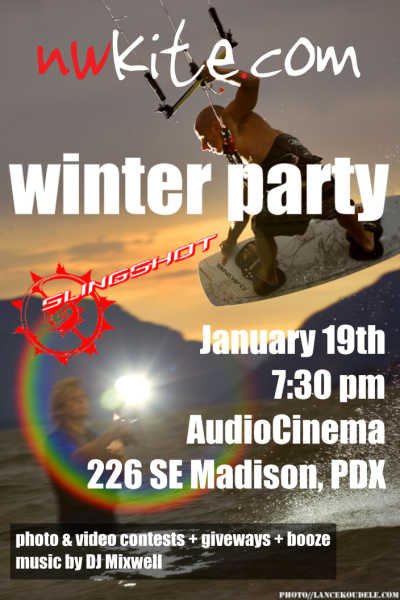 Hey all we are having our annual party tonight in downtown Portland. There are only a couple of hours left to vote for the best photo of the year contest. Cheers and see you tonight! anyway... obviously it was windy... I can't kill it in waves like you were.